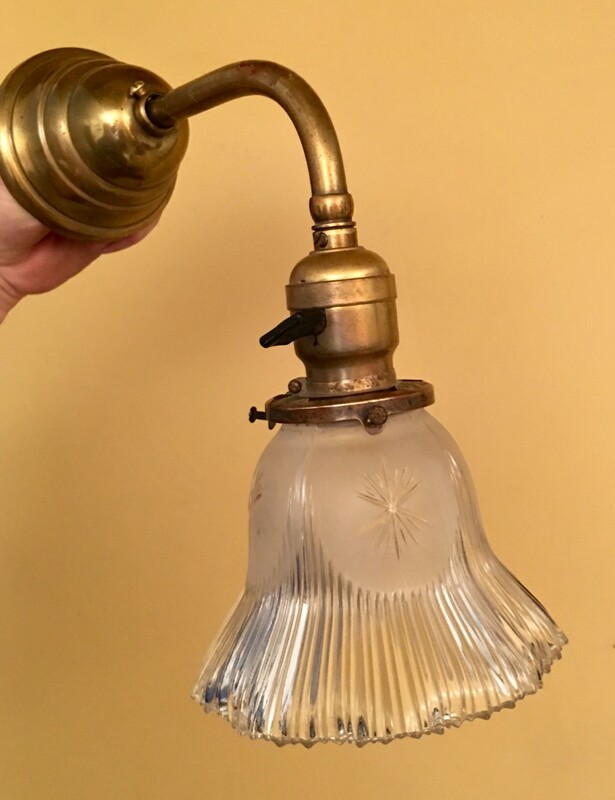 I was gobsmacked to come across FIVE Early Electric sconces! Oh my! It is incredibly rare to have a matched set of five such sconces. The FABULOUS shades are by Magian, and are marked 1907. The turn-key sockets are by GE. 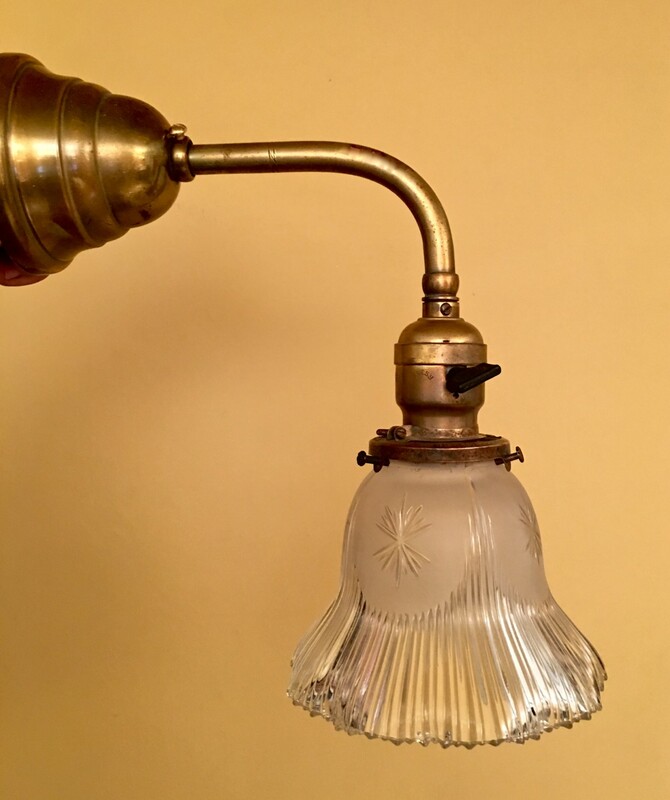 4 Responses to FIVE Early Electric sconces! Are you using these in the Cross House? No. 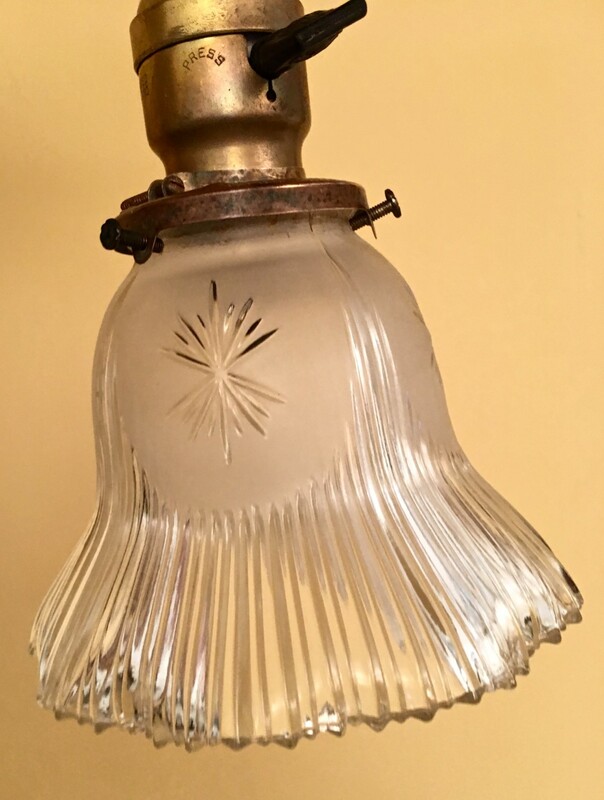 I am seeking early 1890s gas/electric sconces for the Cross House. You spend your time each day with such lovelies ! ! Beauty is around you always. Such inspiration. . . .
Ross,. Check out EBTH.com ! Washington DC. VA. Auction for Clyde’s. Has Art Deco lighting fixtures. I know you have a a <3 for Deco. I realize commerical use is kinda larger than life,. But You might find something. Hope you do. My previous self would die for the chafing dishes but alas the shipping charges are outrageous and I'm not up to travel ! !